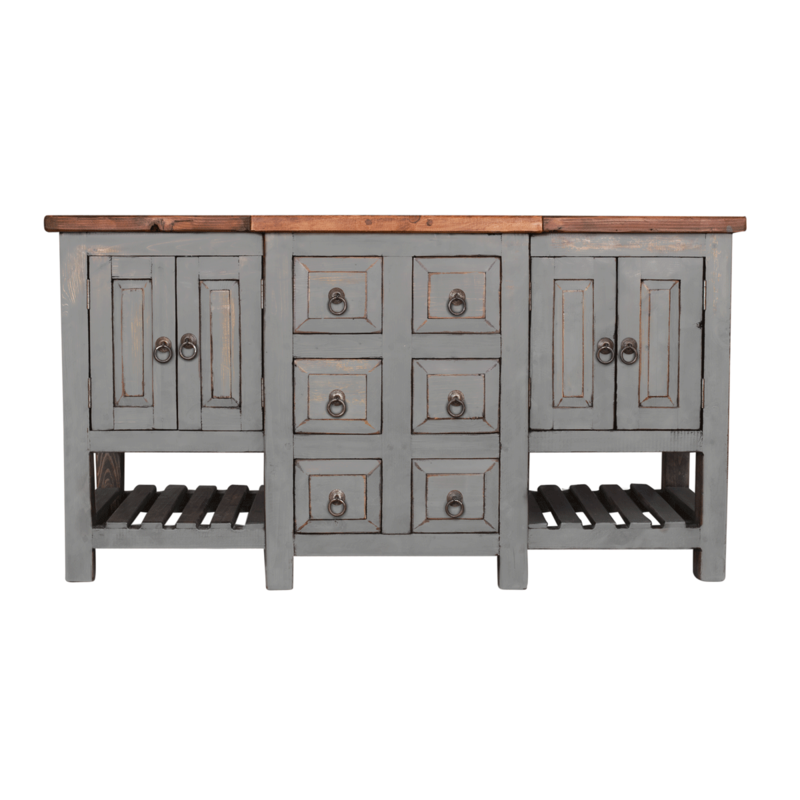 Designed for a double sink, the Bronson Double Vanity is very spacious and offers lots of storage for your items. 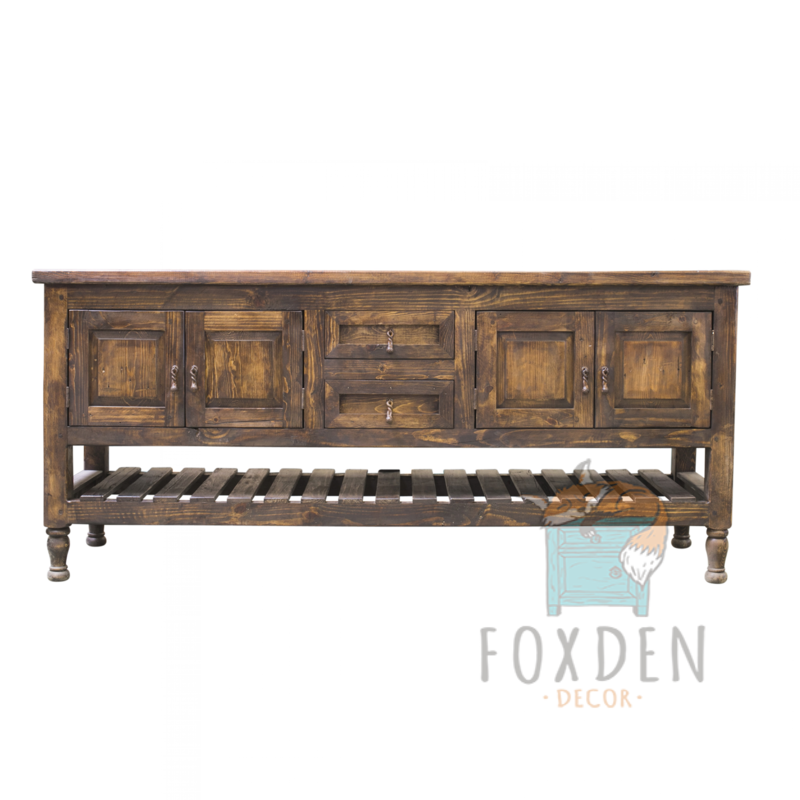 The bottom wooden slats are perfect to hold items such as towels, baskets or even left open to display it’s natural beauty. 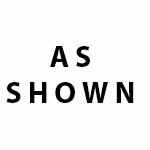 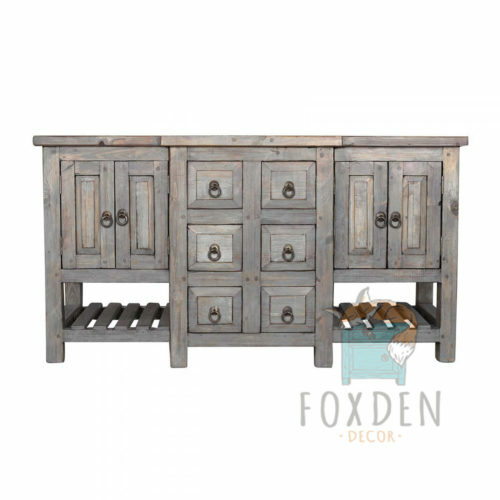 2 fully functional drawers are featured in the center that rest on full extension metal rails.. 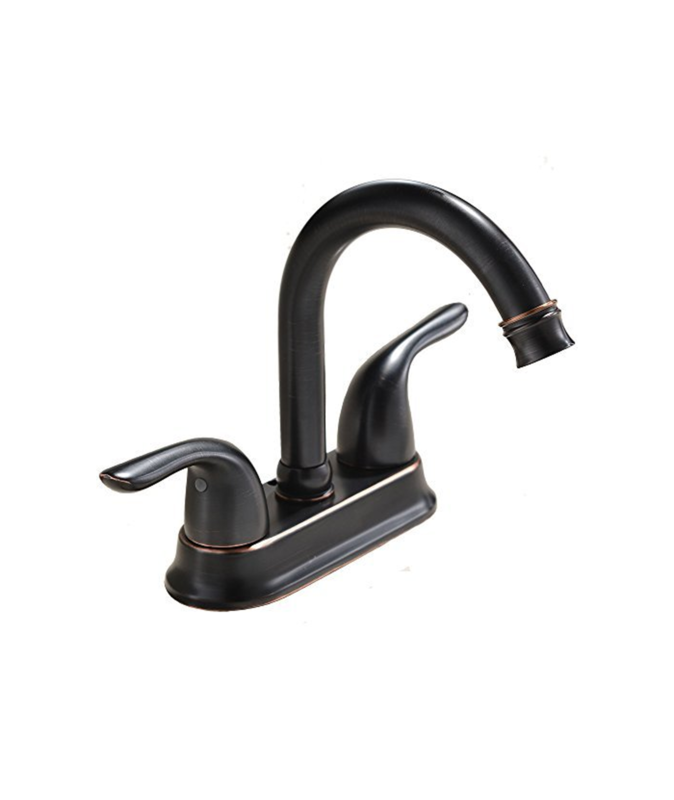 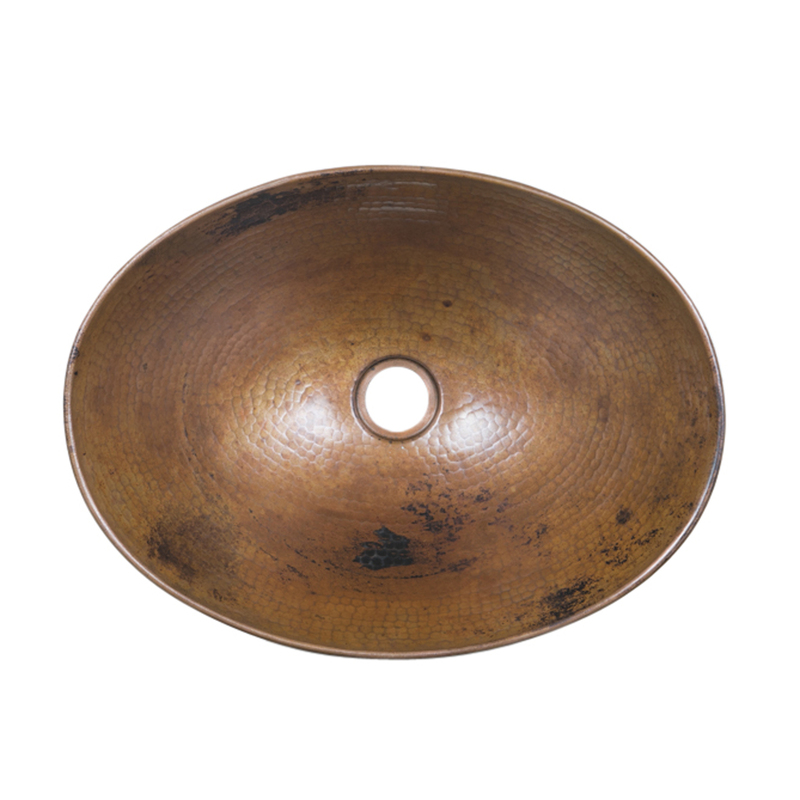 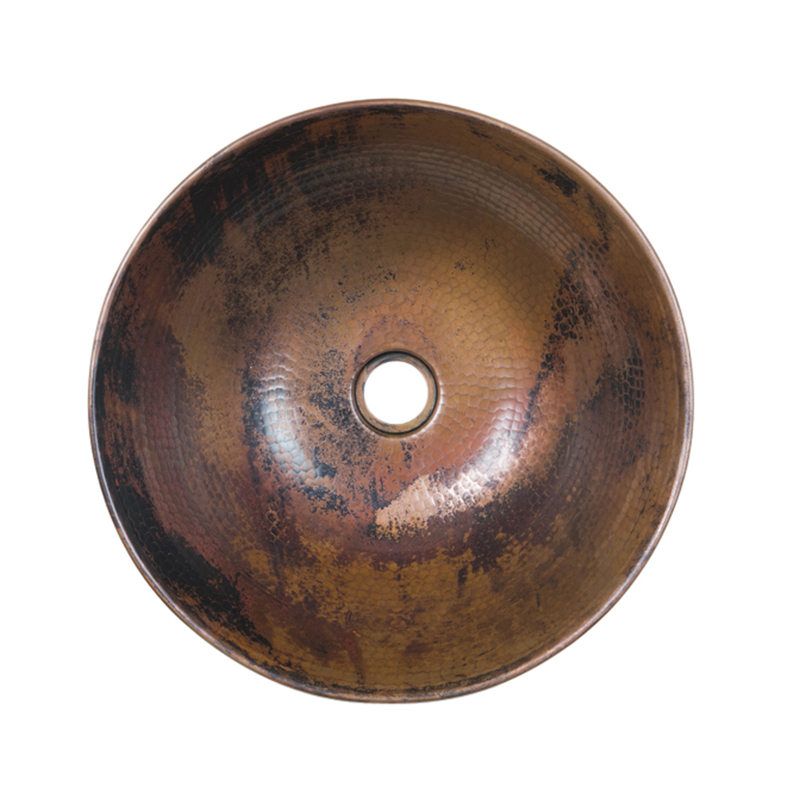 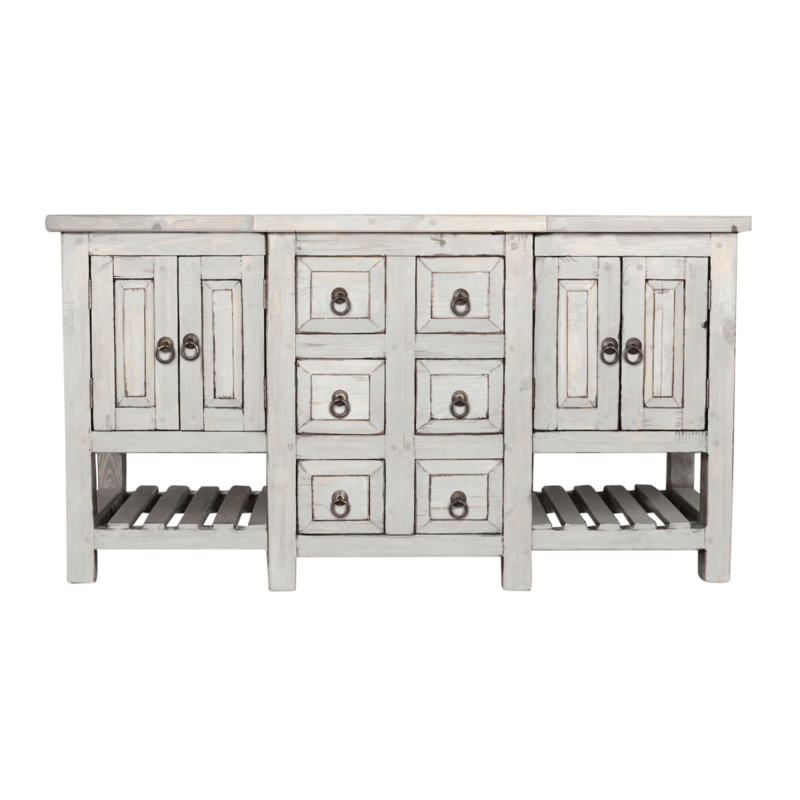 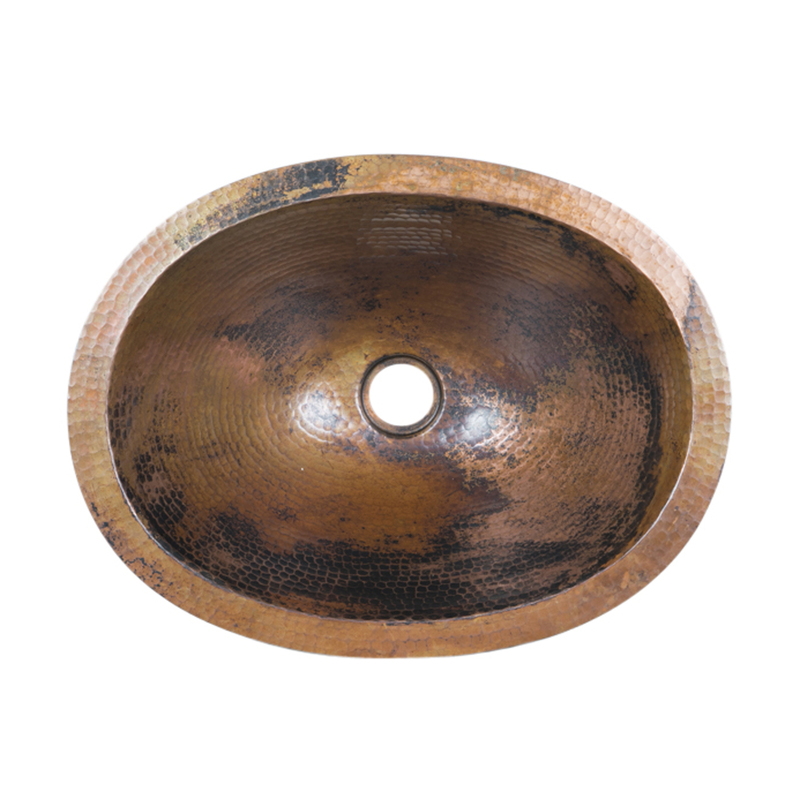 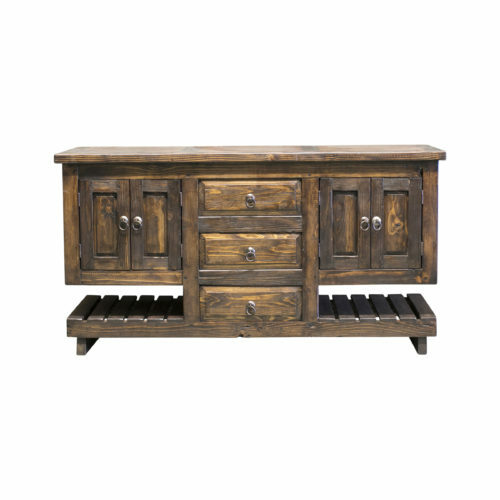 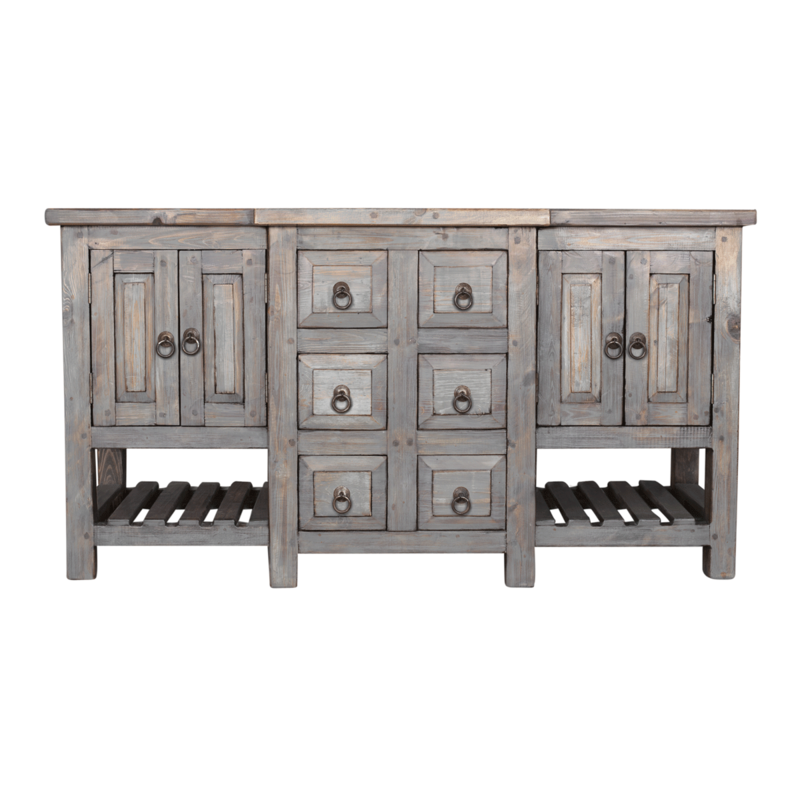 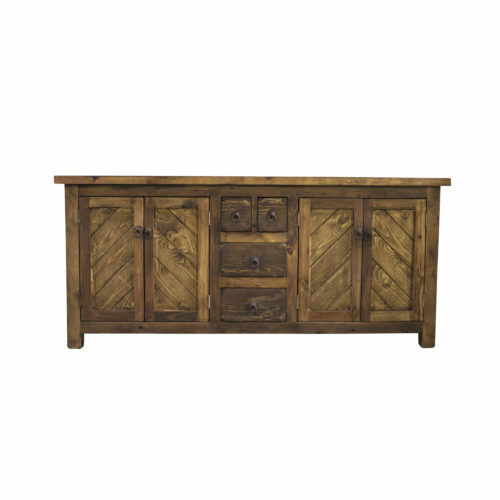 Premium features include hand made oxidized metal hardware and turned legs. 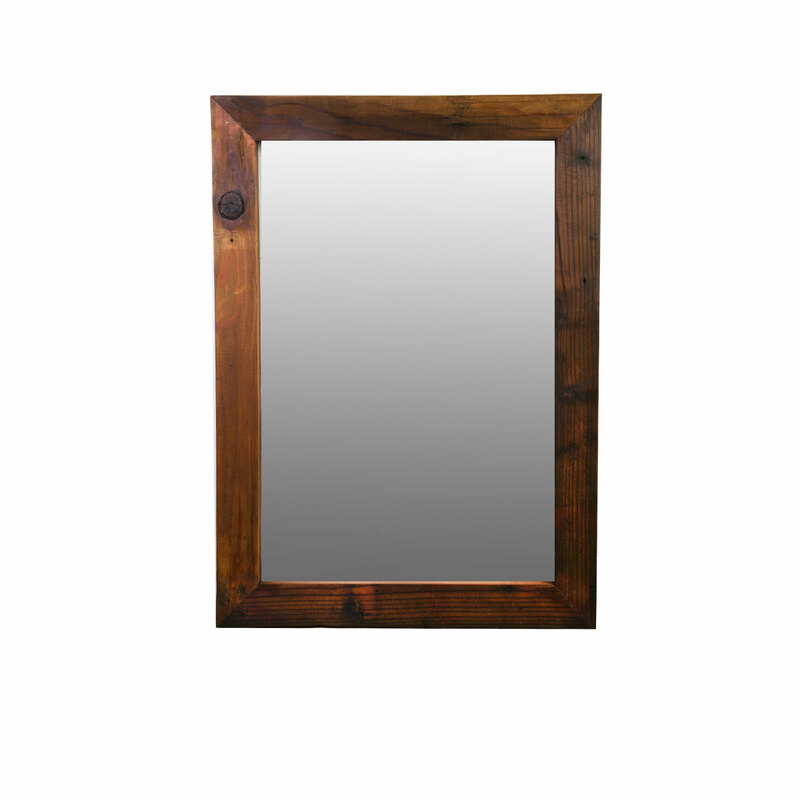 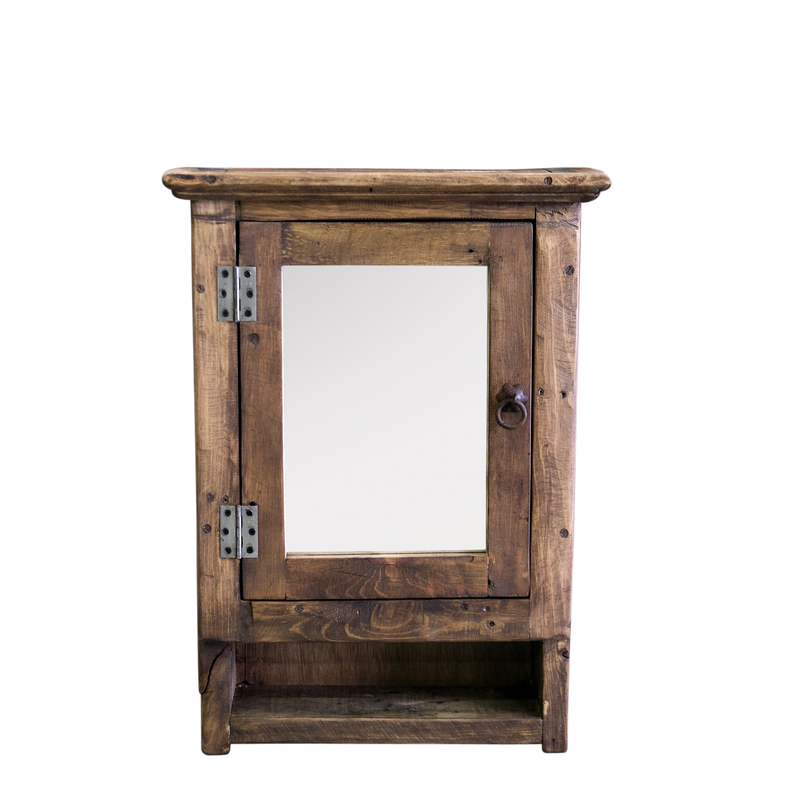 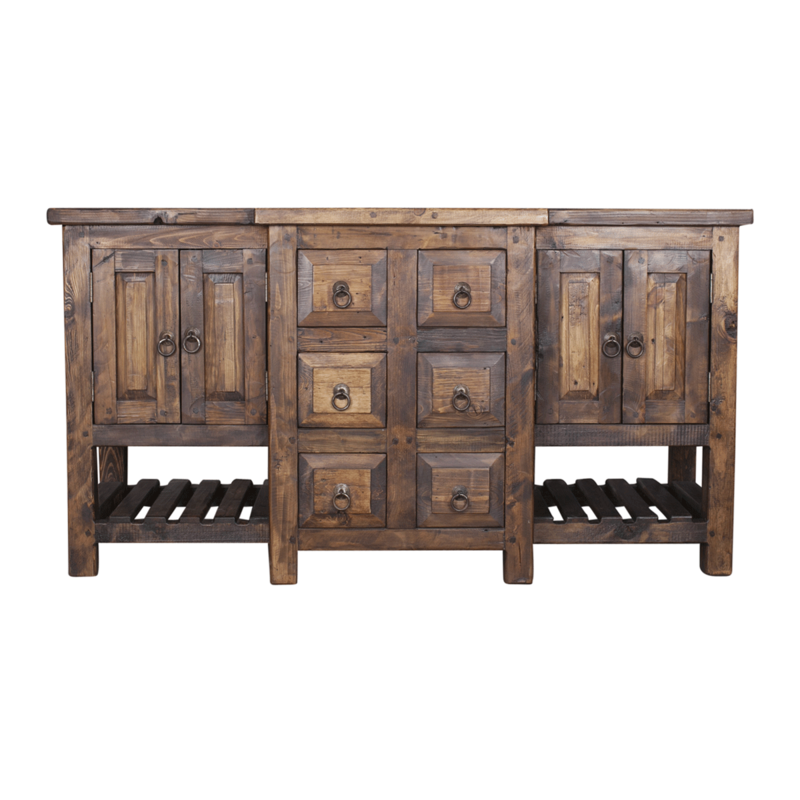 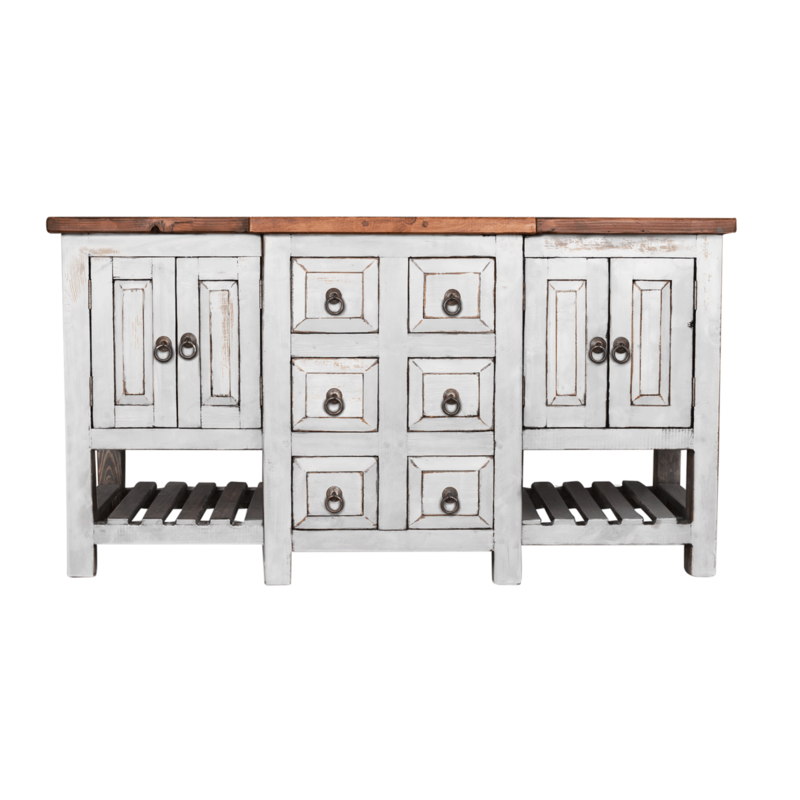 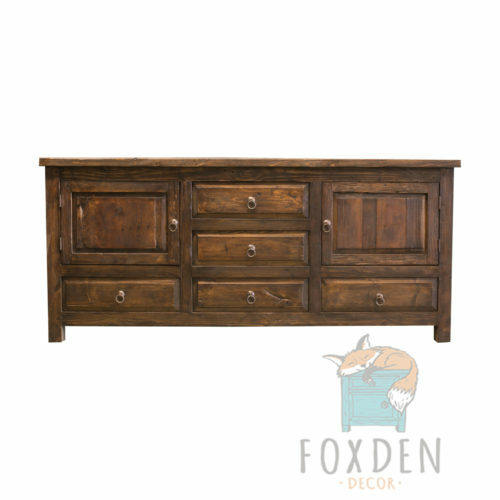 Made of solid reclaimed wood, this vanity is sure to withstand a lifetime of use!